ON THE WAY TO MILE "0"
We left Lac la Hache and headed for the start of the Alaska Highway (better known as the ALCAN) at Dawson Creek, BC. On the way we stopped at Robert's Roost, a very nice campground on the shore of Dragon Lake, near Quesnel, BC. Then on to Mile "0" via Prince George and Hwy 97. 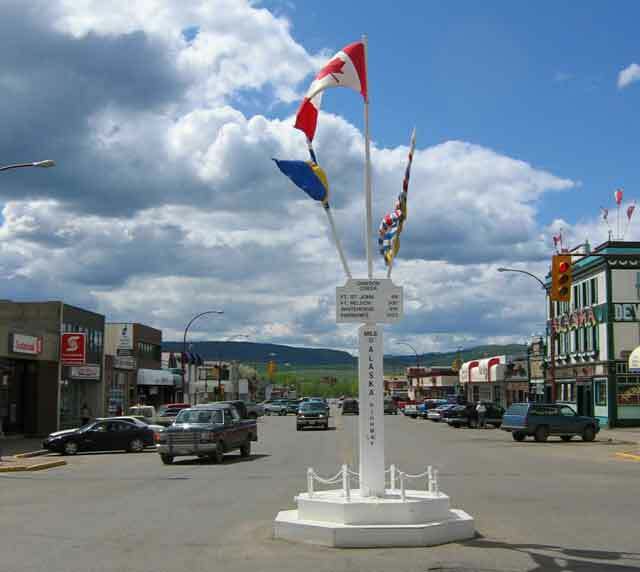 Dawson Creek, BC is the start of the Alaska Highway or Mile "0". This is the city as seen from the Northern Lights campground, a good place to spend a few days before heading up the ALCAN. The ALCAN was constructed, starting in 1942, in nine months. This was an engineering miracle. It was constructed by the US Army and civilian companies. The agreement with Canada was that the Canadian portion of it would be turned over to Canada six months after the end of WW II. Originally, it was just a graded gravel road. It was constructed over a route that allowed the minimum of effort in order to accomplish the task in the minimum amount of time. Later it was turned into a year round road. 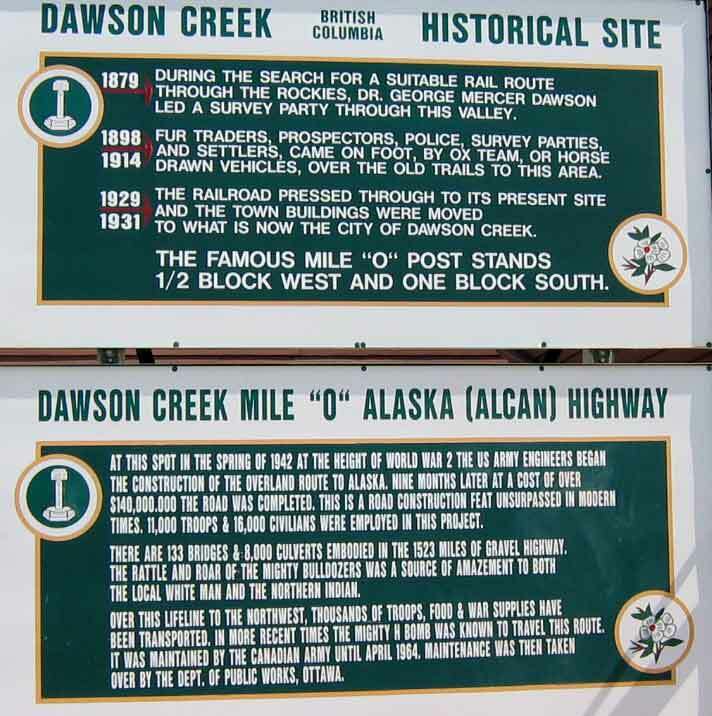 Today it is paved over its entire length, from Dawson Creek to Delta Junction, a distance of over 1300 miles.